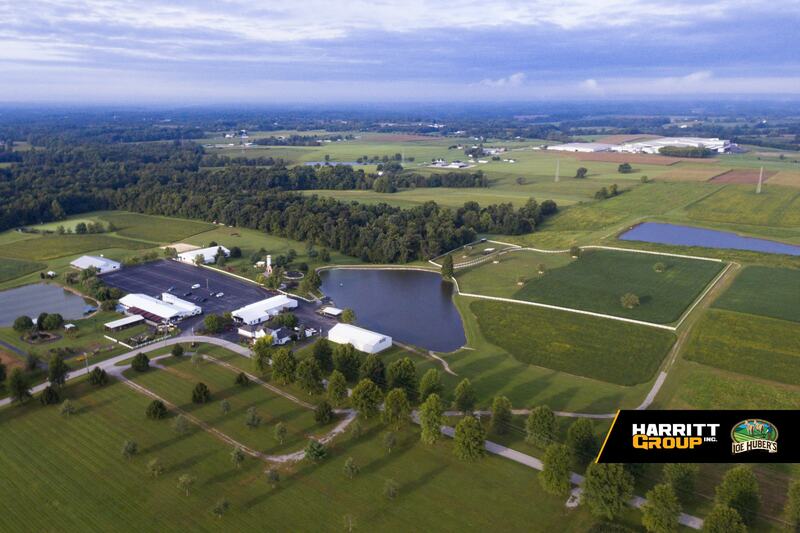 Joe Huber's Family Farm & Restaurant Auction: The Starlight Dream — Harritt Group, Inc.
After 92 years of stewardship and operation, the Joe Huber Family is announcing their retirement from the farming and hospitality business. In 1926 Joe Huber Sr. and his wife Mary purchased the family farm. Since that time generations of Hubers, led by Joe and Bonnie, have been committed to offering their patrons a true Starlight experience – in the fields, shops, restaurant and event halls. For decades our community has had a place to call home in Starlight because they passionately pursued their calling. On Saturday, November 17, 2018, the Joe Huber Family will offer their 160+ acre farm & restaurant located at 2421 Engle Road, Borden, IN at public auction in multiple tracts. A professional survey will ensure that the family farm maintains its integrity and natural flow. This fall a new generation will have an opportunity to pursue their own Starlight dreams. NOTE: Huber’s Orchard, Winery and Vineyards is a separate entity from Joe Huber’s Family Farm & Restaurant and will continue operations as usual.